The Sierra de O Courel is one of the most unique and impressive corners of Galicia. Exuberant landscapes together with a dispersed human settlement create a mosaic of incomparable beauty. Seceda: Seceda is one of the best preserved villages in the Sierra de O Courel. 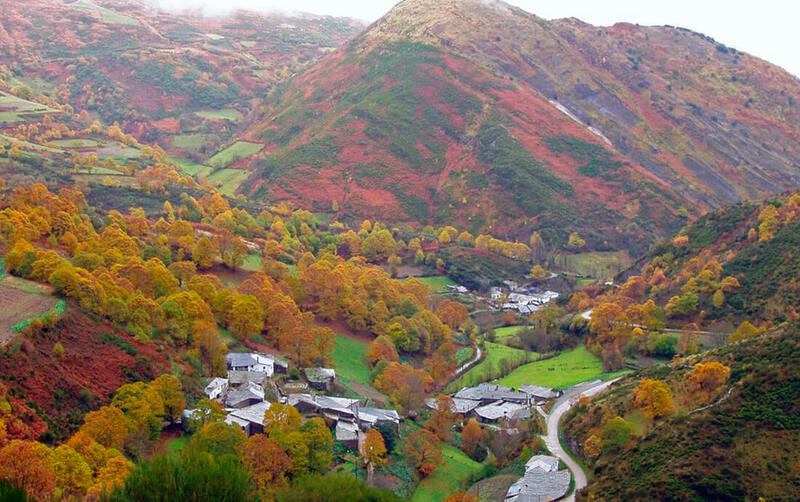 Declared Typical village and ethnographic group of touristic interest by the Xunta de Galicia. Caurelor: O Courel chestnuts. This company produces organic products with chestnut as a base, a delight for the palate. Castro da Torre de Sobredo: A wonder worth observing; the history framed on a background of spectacular nature. Not only is it worth visiting the fort for its historical characteristics, but also for its natural and scenic surroundings. Gastronomy: Are you able to face the rich cuisine of O Courel and enjoy the thousand flavours of its cuisine? A Devesa da Rogueira: As far as hiking is concerned, A Devesa da Rogueira is the ecological jewel of O Courel. A primary forest with a great biodiversity. Castillo de Carbedo: Remains of an old fortification in the highlands of the mountain range, which is worth exploring.